Images from top to bottom, left to right. 1. 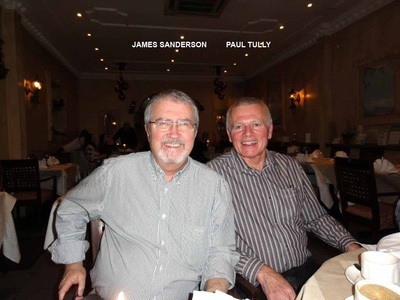 James Sanderson and Paul Tully. 2. Paul Kenealy and Mickey Simmonds. 3. 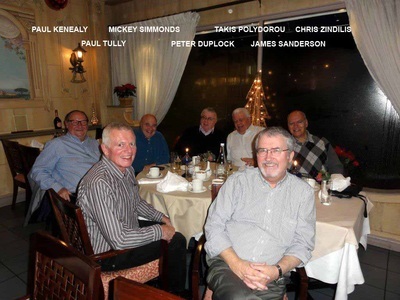 The BBS Group of Seven. 4. 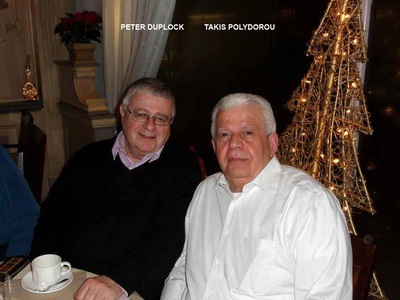 Peter Duplock and Takis Polydorou. 5. 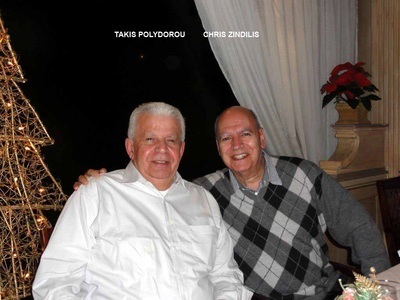 Takis Polydorou and Chris Zindilis. 6. 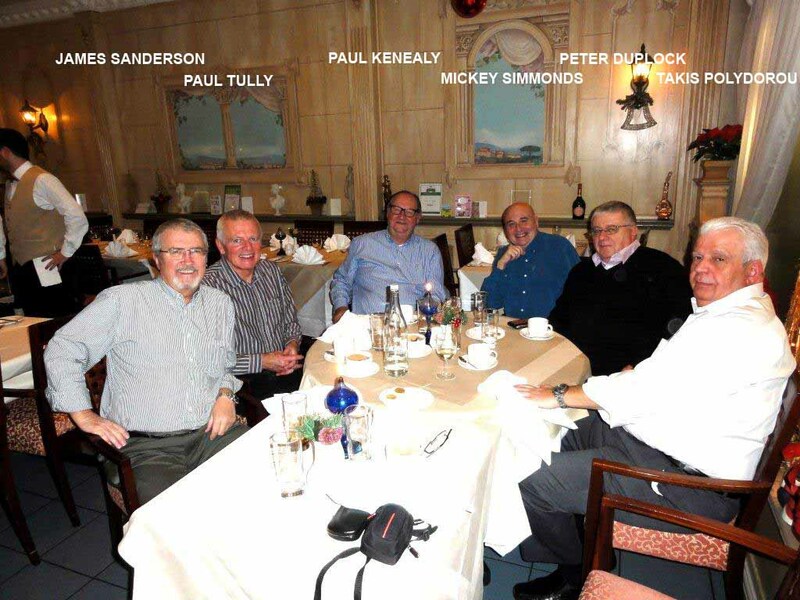 The BBS Group of Six (Chris is taking the photo). 7. James Sanderson, Chris Zindilis and Paul Tully. Thanks for arranging another great night out - managed to get there after a very long day. 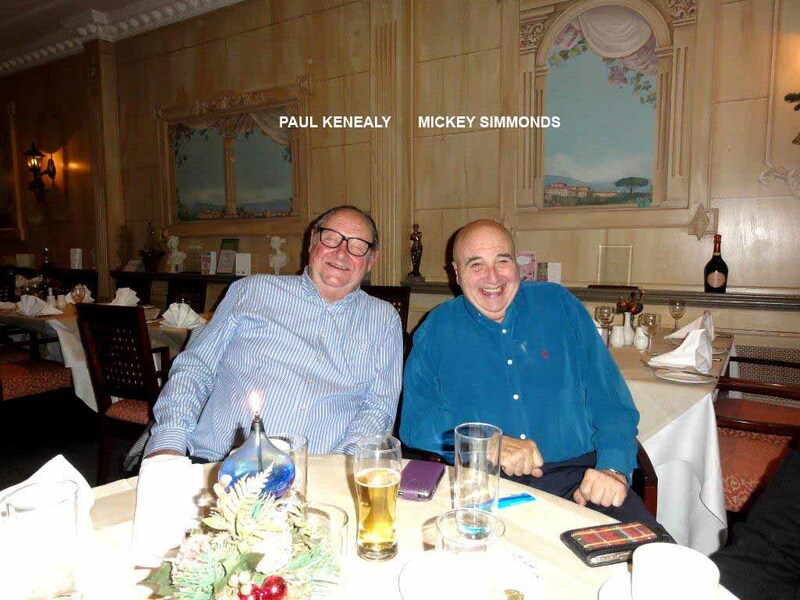 Thanks to Paul T for dropping me home & thanks to Paul K for having the cheek to mention Thierry Henry in the same breath as Jimmy Greaves. Also sincere apologies to Takis for questioning the score of Real Madrid v Eintract in the 1960 European cup final; must of been thinking of Scotland v England which was 9 - 3 when the greatest goal scorer ever, Jimmy Greaves, scored another hat trick. Thanks to Kris for taking the photos and thanks to Peter for being there. Thanks for an amusing and interesting evening on Friday. What can I say Micky, if you had J Greaves and we had T. Henry today we would have both won. At least you get a point for not scoring, we get nothing for scoring twice. How is that fair? Sandy, I apologise if I called you a rude name at dinner, you know I love you. I’m sorry to have broken up the party so early but I had other fish to fry. Sadly by the time I got to the birthday party I had been invited to, the birthday boy’s ex wife had gone off with someone else, when she had promised herself to me. Women! Anyway had we left any later dear ol’ P Tully would never have gotten back from the wild Far East with Micky, and as it was he got home just as his cat was coming in. 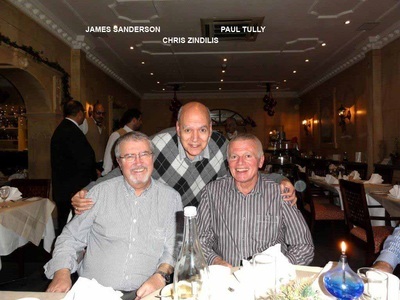 But it didn’t hamper his singing when the three P’s got together today, (Saturday - the other ‘P’ was Paul Lomas) and his home made quiche and cheesecake were amazing. I don't often write in these columns but felt moved to do so. One of the most relaxing and enjoyable evenings I've spent in a while. With politics, football, music, guitars, the Cyprus economy, and facial hair on the topic list - there was something for everyone. Until the next one - seasons greetings to all. James, thanks ever so much for organising another great reunion dinner. Takis and I had a fantastic evening: one of the best, and the meal was excellent. It felt so cosy. I can truly say, and I can speak for Takis too, that it was probably one of the best reunion dinners so far.